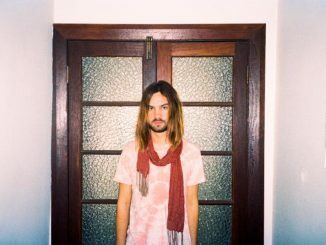 Having refined psychedelic rock for a new generation with his previous work culminating in 2012’s riff laden Lonerism , Kevin Parker a.k.a Tame Impala has taken something of a surprise step with Currents, producing a synthesiser dominated album that has one foot in a 70’s disco, the other in an 80’s dancehall but both firmly and uniquely planted in his own, quite bewildering world. Don’t expect to hear heavy stoner riffs anywhere here – tune in instead for Daft Punk meets Michael Jackson whilst fighting off Prince, 10cc and the synth extravagances of prog rock. It’s quite a ride, albeit one that falls short of being a classic. By now you’ve all heard Cause I’m A Man, a track that gives you a fair idea of what Currents has in store but one that only tells half the story. People have been proclaiming its genius but I think, especially compared to other, far better tracks on the album it’s all rather dull. 70’s inspired synths with lyrics seemingly inspired by that decade too, you can picture Parker, shirt open, softly shot singing this to a Roxy Music album cover model whilst a fondue bubbles in the background. If there’s something clever about this track that elevates it above a fairly band piece of music with a knowing falsetto lead vocal, I’m yet to hear it. All that said though, it is a pointer to the album’s general feel, but no more than that. Opener Let It Happen is a cracker. A 7 minute plus synth hook laden marvel that, halfway through, goes all disco or Daft Punk depending on how you view these things, before returning to the main body of the song and surrounding you in a warm, electronic glow. Nangs follows, a quarter of the length of Let It Happen but just as good, all woozy ARP’s and Moogs and perfectly summery and joyful. That leads us to The Moment which again presses the big analogue synth button but avoids a feeling of repetition with a stunning pop vocal that has many MOR hallmarks but only in a good way. It’s one of the standout tracks here and has to be heard. Perhaps sensing that a change of pace was needed, Yes, I’m Changing follows, more ballad than anything else albeit one that surely came from a John Hughes Bratpack film. I like it a lot but it’s hard not to listen to it without picturing Molly Ringwald running into Rob Lowe’s arms in slow motion in the rain. Those first four songs are a strong start and definitely worthy of praise and indeed they are far superior to Cause I’m A Man. The album becomes mired in a bit of a same swamp at this point though. Eventually and The Less I Know The Better which are separated by the short instrumental Gossip follow and both are too similar in style and a little bland really which kills the pace of the album unfortunately. Past Life continues the lull, a mix of distorted, spoken vocal and a rather annoying chorus. It doesn’t add anything to the album really. By this point, I found myself praying for a track like Elephant just go breathe some life into proceedings. 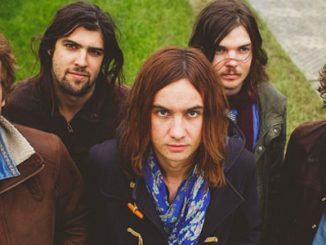 Tame Impala – ‘Cause I’m A Man on MUZU.TV. Thankfully, Disciples arrives with its jaunty arpeggiated synths, perky melody and, yes that’s right, guitars. Not the crushing riffs of old mind you, but something softer but that’s ok. Disciples is a great track. It’s under two minutes long but is one of the album’s best. Cause I’m A Man then lumbers into view before Reality In Motion arrives like a welcome burst of sunshine, quite marvelously. The chorus has one of those melodies that the human ear is built to love and it’s a genuinely brilliant track that uses all the influences I’ve overdone already, but crucially stands raises itself above the MOR feel all too prevalent in the album’s mid-section. Penultimate track Love Paranoia is decent albeit goes a bit too Phil Collins for my liking and that leads us to the excellent album closer New Person, Same Old Mistakes which ends the record on a slightly darker, more minimal feel, at least in comparison to what’s gone before. Ultimately, this is an enjoyable album but is a bit long and, as a consequence of that, can be rather frustrating, the middle section especially. Shorn of a couple of tracks, Currents would be rather special. Instead, it’s a very good album with some real highpoints but for an innovator like Parker, it falls slightly short of what you might expect.